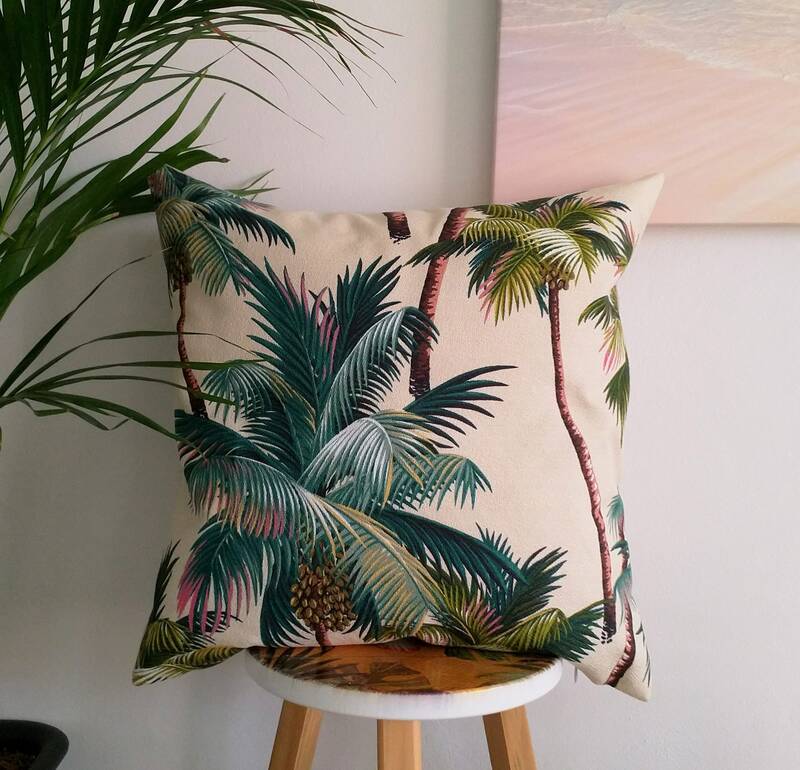 Hawaiian cushion cover, Tropical cushion cover, Palm tree cushion cover. 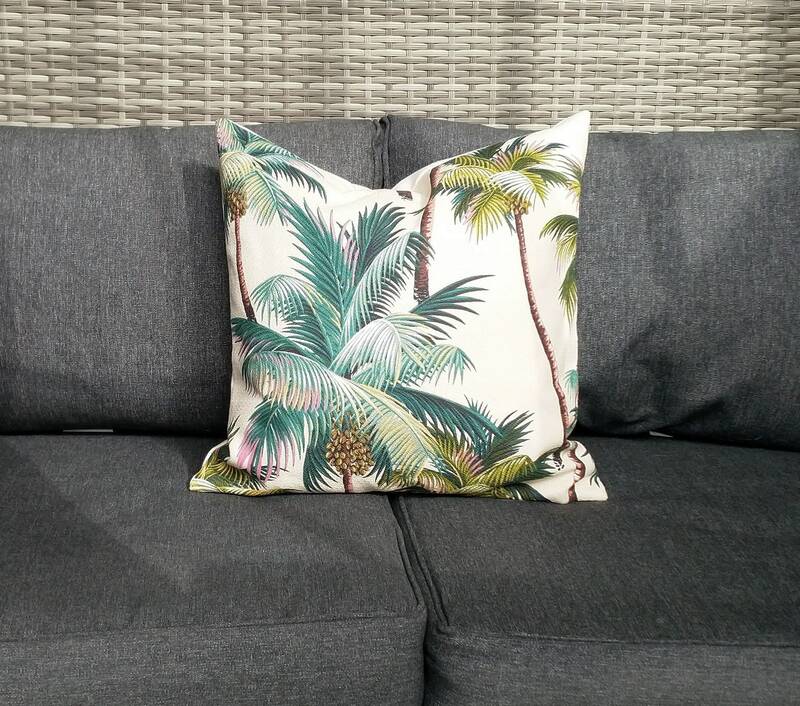 Handmade using a cotton decorator fabric I bought in Hawaii. 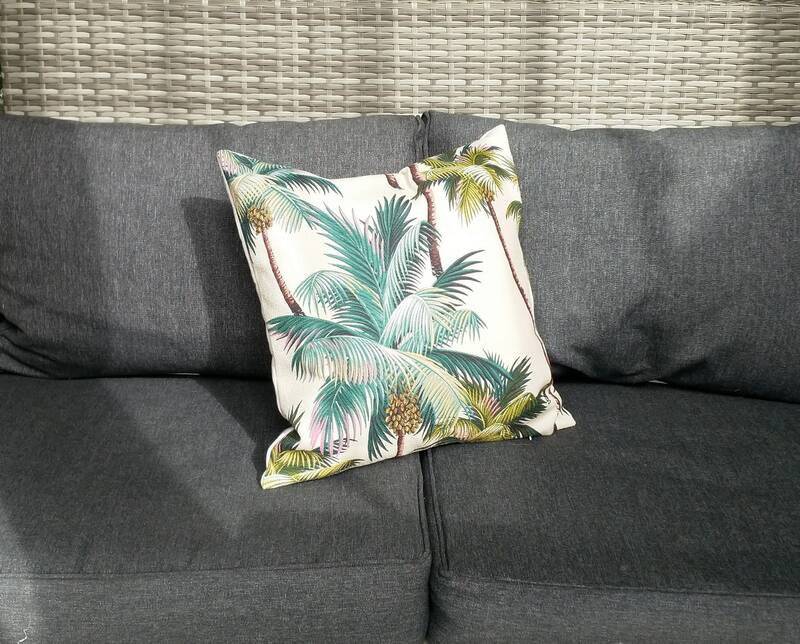 This fabric has a large palm tree print with a beige background. 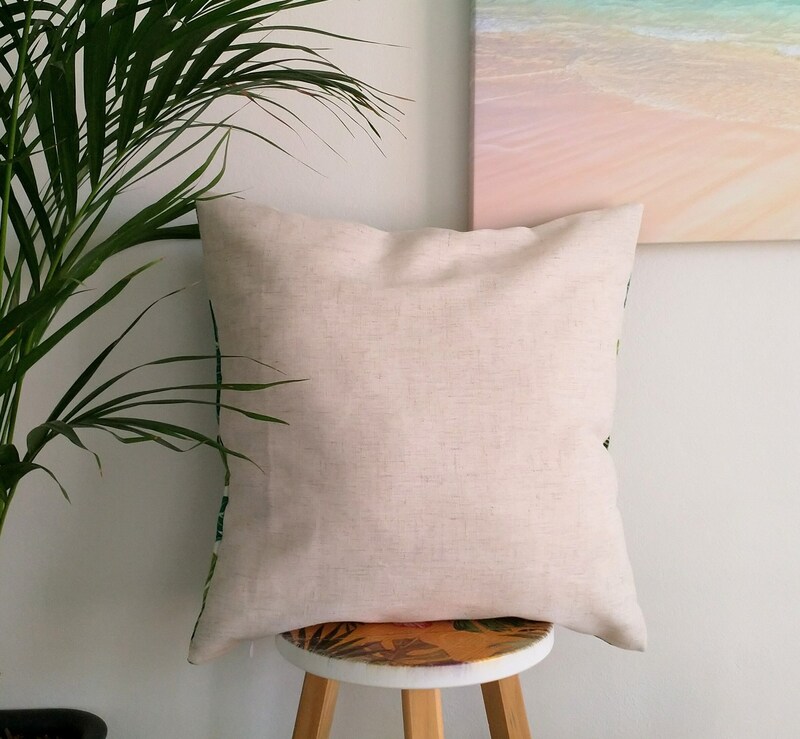 I have only used the print on one side and the other has a beige textured linen (to keep prices down) each with a 35cm white invisible zip. 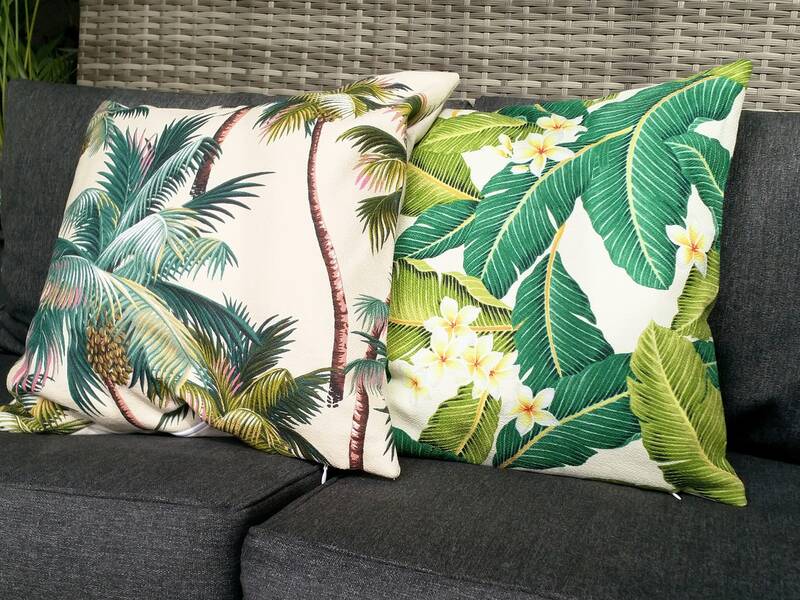 Cushion covers shown are 45x45cm. I can do custom sizes and make them with the print on both sides. Please contact me for pricing. 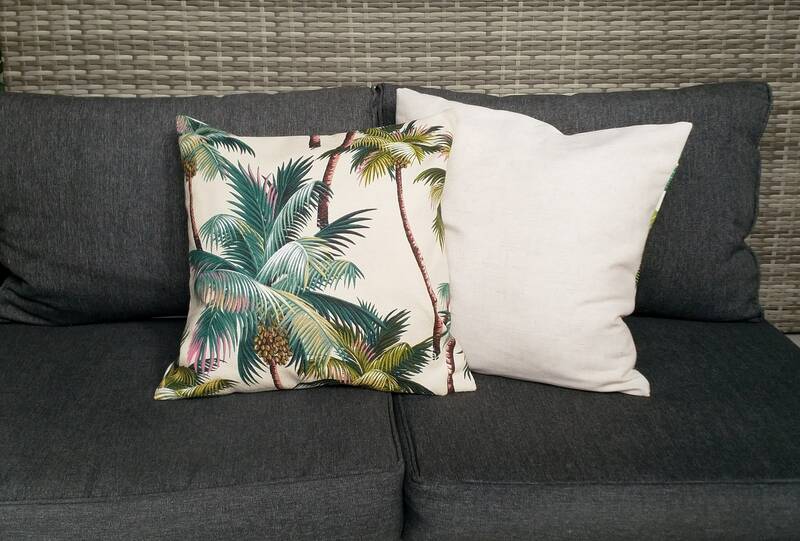 Please note, fabric pattern placement my differ to pictures shown. Thankyou. Exactly what I was looking for. thick quality fabric.